It is officially the launch of wildflower season! 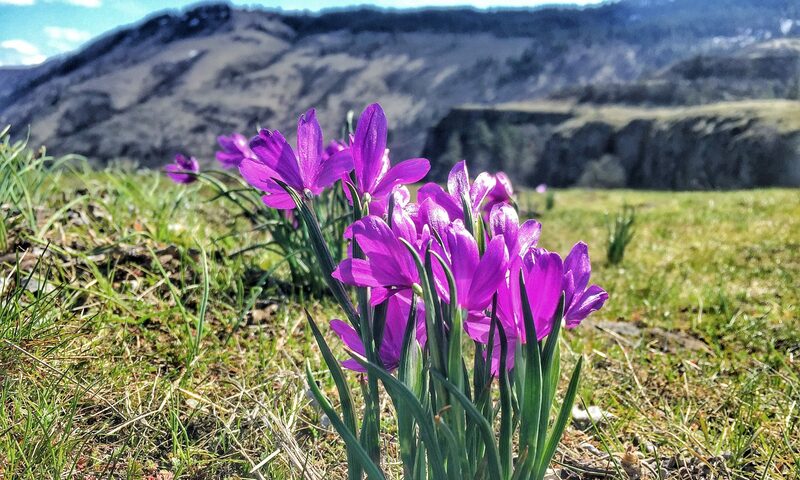 As of the day after the Spring Equinox, Portland’s wildflowers began bursting into lushness. We saw trilliums on the Wildwood Trail March 21, and this weekend the grass widows began to spread in the eastern Gorge. 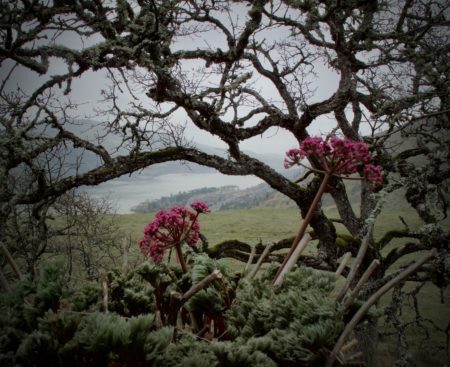 On our writer’s hike March 27, we saw a profusion of new flowers. 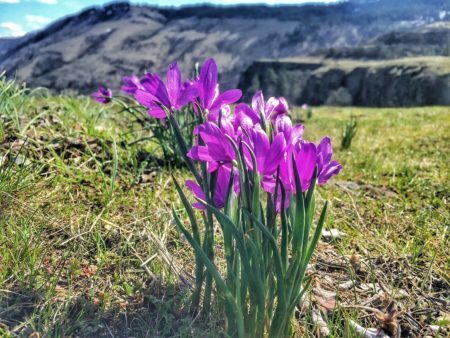 Book our hiking tours any time this spring and we’ll take you out to see the beauty — or request a special custom tour by calling us at 503-889-6410 and we can find even more beauty. Come now: this is the time! 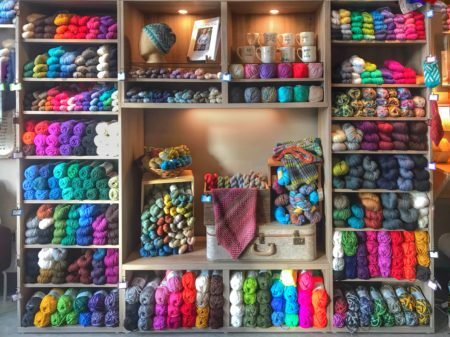 Visiting for the 2019 Yarn Crawl? Let us help! Portland’s knitters are a special breed. I’ve attended readings for knitting writers where more than a hundred fans patiently waited in line (knitting of course) for signatures. The amazing Sock Summit filled the Convention Center, twice. I’ve been on knitting scavenger hunts and knit-in-public days. This year, once again, thousands of knitters will run around town visiting yarn shops all over for four days in March. And with the 2019 Yarn Crawl Tour we’re here to bring you to it. In two days, you will have the chance to get stamps from 10 yarn stores, through Portland’s five quadrants and two far-flung suburbs. We’ll make sure you don’t miss any shops; and most importantly make sure you get to see the city and surrounding area with a tour guide’s perspective. We have two Mercedes Sprinter vans and one leather-upholstered minivan ready to tote you, your friends, and your beautiful yarn around town. Book the March 7-8 two-day tour or the March 9-10 two-day tour, at only $175. Read more, and book our one-day tour for just the SW and outside-of-Portland shops, only $100! We mean to celebrate love the way we always do: by opening ourselves to it. In 2019, the early part of February, with its new moon in Aquarius, should help us with new relationships; but once the day of lovers arrives on February 14 we see Mars transiting Taurus. This roots us into traditionalism and into the earth. As the first flowers of spring begin to bloom we should connect with the dirt from which they emerge. Our tour will take you (and, if you like, your partner) gently toward the coming full moon. Like spring, we wish to emerge full into our creativity and voice come the Virgo moon on the 19th; but we need support. We begin in the late morning with a rose latte to wake us up and start the gentle opening of the spirit, and a poem to go along with it. 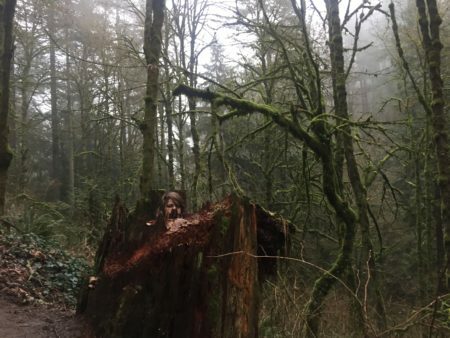 We’ll stock our bag with healthy snacks and drive to a garden filled with some of Portland’s oldest trees — nothing says love like getting cheek-to-cheek with a century old tree. Here we’ll ground ourselves with some tree magic and a little reminder of how to stay rooted when we’re opening ourselves, with a breathing exercise. What’s next? Water, of course! A bit of ritual cleansing (don’t worry, you won’t need your swimsuits). 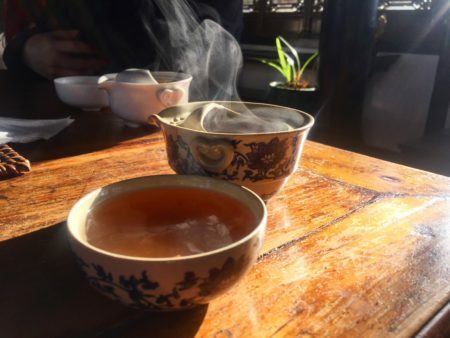 Next, we’re off to our favorite psychic tea room for a tea meant to release ourselves to the possibilities of intimacy, and if you choose, have your Tarot cards read. We’ll finish with a drive to the top of the (Portland) world: we’ll go up to a viewpoint of the whole city — choice of viewpoint weather dependent of course. There is no place to make the message that you are open to love than an open scene of the world as we know it before you! Give love to all before you, hug the world, shout out your intentions for all to hear! 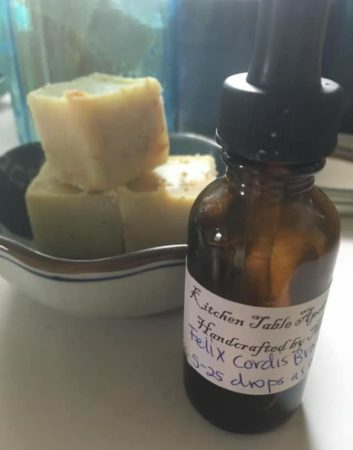 Our tour will come with an optional package of love-supportive tinctures and treats from a favorite herbalist. Book here! Our full moon hiking series was meant as an alternative to more expensive options run by bigger companies. But more came of it: we discovered how much we enjoyed getting locals into places they don’t go very often on their own. We welcome tourists too; but these are meant as an addition to your rich experience of this area, not a first introduction. For most of our tours we will pick up at our shop at 811 SE Main Street, and pick up outer eastsiders in the center of downtown Troutdale, near the Troutdale General Store. Pickup at your home is possible, especially if you live on the east side or have a big group booking together. 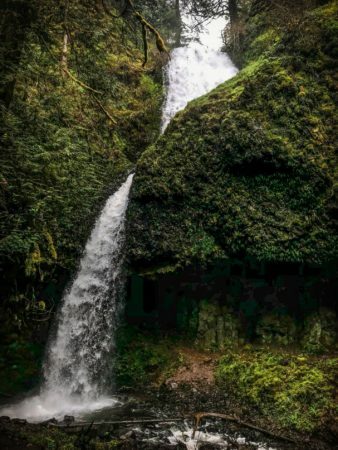 This week we have three things planned: a snowy adventure for Wednesday, January 30; an urban winery and farm-to-table tour Friday, February 1; and a Instagram-worthy waterfall hike Saturday, February 2. We’re really excited to begin a series of hikes on weekdays when local schools are out of session, beginning with the February 18 family hike. 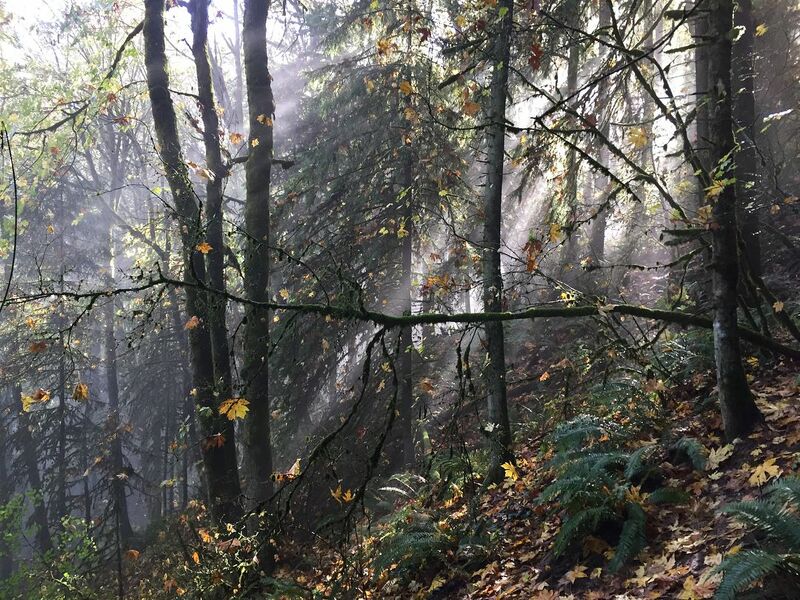 We’ll leave inner SE Portland at 9 a.m. $50 per person suggested price; contact Sarah to book pay-what-you-will. Book here for Feb 18 full moon; book here for Feb 19 full moon. $35, compared to our typical hiking tour cost of $105. 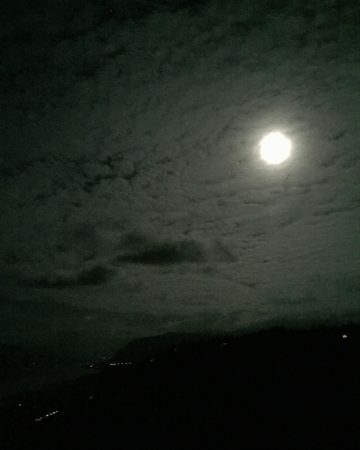 Book the full moon hike! When we set out to do our full moon hiking series, we were looking to find an alternative to more expensive options run by bigger companies. But we found a whole new love: bringing a diverse group of adults and children out into the forest for some well-lit hiking and a little ritual. We set the dates for this month’s hiking tours and then started getting questions about the lunar eclipse — the only full lunar eclipse this year, set for the full wolf moon. Our intention is to be hiking with headlamps and sparkly lights as the eclipse begins, and drive to a viewpoint where the full moon (clouds depending) will be visible. The maximum eclipse is about 9:11 p.m., so we will be out late (we’ll leave just after the eclipse is full). 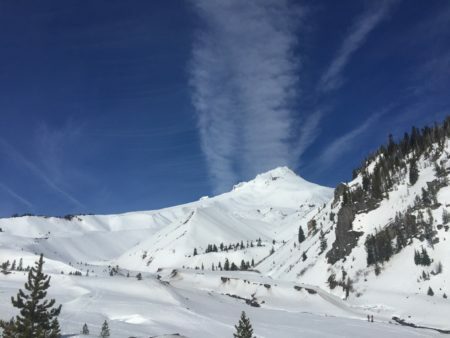 We’re doing a steep discount from our typical hiking tour price, because we have set the intention that 2019 will be about abundance, and we will value community over all else. The hike itself will be 1-3 miles; we’re not announcing the actual hiking location until Sunday afternoon. We will leave at 6:00 p.m. from our shop at 811 SE Main Street, and pick up outer eastsiders in the center of downtown Troutdale, near the Troutdale General Store, around 6:30. Book here. $30, compared to our typical hiking tour cost of $105. Come on a sample tour! Thursday January 10 or Saturday January 12, 2 p.m. to 6 p.m. both days, only $35. Other sample dates available, call 503-889-6410 or email. 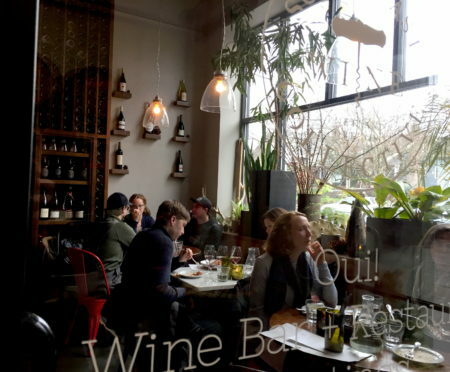 The urban wineries of Portland are growing to stand among their world-class Willamette Valley siblings; not just beautifully-made wine from some of the region’s best vineyards, but also showcases for exquisite farm-to-table cuisine. Cordilleran Tours’ Urban Winery and Farm to Table tour is an experience that finally recognizes that. You can read all about the tour on our listing page or our press release. Or you can just come try it out and see what the fuss is about! Tour offerings this week are only $35 as we test the tour (although we already know you’ll like it!). Yes! It’s one of our favorite times of year: when we get a little break from the busy days of spring, summer and early fall — we get to hike, test new tours, and develop the artistic side of our business. One of the reasons we’re in this business because we’re artists who can’t stand sitting behind a desk — or creating art we don’t believe in. Remember the part about how we can’t stand sitting behind a desk? We can’t stand sitting still either. That means we are open throughout the holiday season. 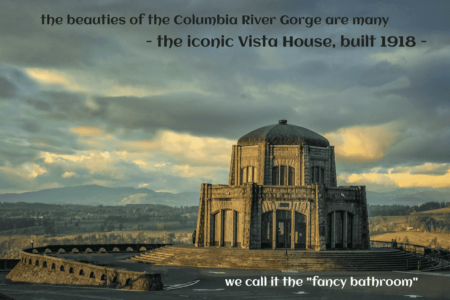 Please feel free to book tours or call us any time for custom experiences — whether it’s a relative in town who would just love to see the best urban wineries, or a special excursion into our favorite places to hike in the rainy season, when the waterfalls are spurting out of every orifice and cranny of the Columbia Gorge’s walls. We said something about art! We’ve been busy creating postcards like this. We’re selling them on Sarah’s Etsy page. You can choose to purchase the unsullied cards to send to your own friends and family or hang on your refrigerator; or we’ll send you one with a little handwritten note, from Bridal Veil Post Office of course! 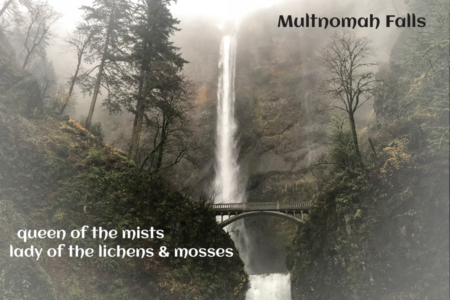 Most exciting (we think) is a series of postcards, a literary journal in tiny form, about the recovery from the fires in the Columbia Gorge that began September 2, 2017. Book a First Day Hike! 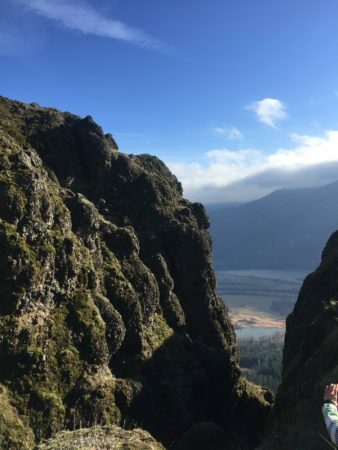 Last year one of our favorite fellow tour guides invited us on a First Day Hike — a tradition that is not new, but hadn’t been in our parlance. It didn’t take long to convince us that we’d do it every year in the future (ice cream and coffee for pre-hike breakfast sealed the deal). This year, we want to fill our Sprinter vans with you lovely people. We’re doing a steep discount from our typical hiking tour price, because we want to set the intention that 2019 will be about abundance, and we will value community over all else. Yes, there will be ice cream and coffee. Yes, you have to get up early. The hike itself will be 4-6 miles; longer than the (awesome) state parks programs, and with some elevation gain, 1,200-1,800 feet. We will leave promptly at 8:30 a.m. from our shop at 811 SE Main Street. Book here. $35, compared to our typical hiking tour cost of $125. 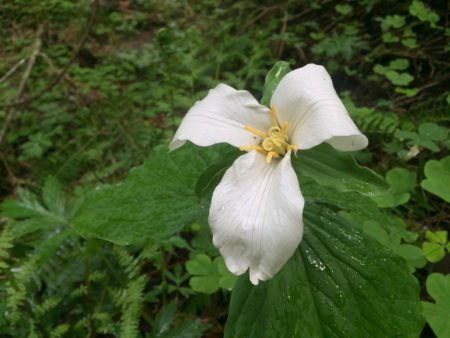 Buy a gift card, see a trillium! There’s no better gift than an experience — long-term studies show that the maximum happiness comes from shared experiences, far better than buying things. And when you buy a Cordilleran Tours gift card, you’re also giving what one customer called “pure magic” and another customer described as “deep knowledge and cultural connection” — our guides “bring the magic of our ancestors.” Still another guest exclaimed how he was “bathing in the forest” as he rode his bike down the Historic Columbia River Highway, before we’d even told him how healthful that practice is. Just breathing while you’re walking in the forest has been shown to permanently increase your body’s ability to resist stress and fight cancer. Have we convinced you yet? How about 25% off? Use the code “solstice” and give your loved ones the gift of a tour at rates better than wholesale. We just need to connect, again, with our deeper truths. To touch the earth, to see wide vistas, to breathe in air more full of the scent of moss and licorice ferns than the smell of creosote, of automobile exhaust; to hear the water rushing over the hundreds of falls flowing through the Columbia River Gorge, to see (perhaps) an eagle, a migrating swan, herons and egrets and flickers. In this day following the election — Wednesday, November 7 — whatever happens, we need renewal. We are launching an experience that could be defined as a tour — or could be defined as a spiritual encounter, a health tonic, a half-day retreat. This special post-election day tour will include a walk on a labyrinth in one of the most stunning landscapes you can reach within a 30 minute drive from a city; anywhere in the world. It will include what we call breath-of-waterfall, a chance to inhale the spirit-lifting impacts of the charged particles of water unique to these geologic features. You will touch basalt walls that are over 15 million years old; you will taste, if you like, the stems of winter ferns. We’ll do a classic Shinrin-yoku walk in the woods, we’ll ground ourselves properly, and we’ll do some breathing exercises to remind us how alive we are. It’s only $25, for November 7, because we all need it so, so much. Book here or call at 503-889-6410. We’ll pick you up or meet us at Fly Awake Tea at 2 p.m.